59 companies represented; included are Cambridge, Fenton, Fostoria, Heisey, Imperial, New Martinsville, and others. Pieces date from 1876 to present. 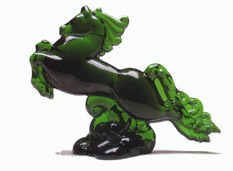 Collecting glass animal figures is a widespread hobby for people of all ages. 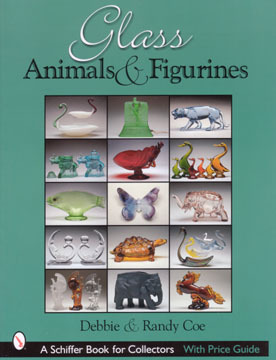 This important reference book features over 950 beautiful color photographs of American glass animals, fish, birds, mammals, and people figurines dating from 1876 to the present. Major manufacturers shown include Cambridge, Fenton, Heisey, Imperial, Paden City, New Martinsville, Westmoreland, and others. A wide spectrum of colors and shapes are displayed. The information, carefully compiled and analyzed, was tirelessly gathered from original catalogs, brochures, advertising, glass club newsletters, trade journals, and the shared extensive experience of many dedicated dealers and collectors. The captions identify each item and give current values. 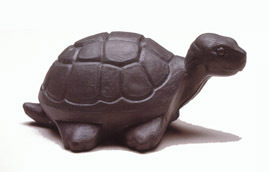 This book is the essential guide for collectors of American glass animal and figurines.